• Customise divider tabs with your own printed titles, ideal for impressive looking presentations, proposals and dividers. • Fast, simple and easy to use with pre-set layouts for tab labels and contents sheets. 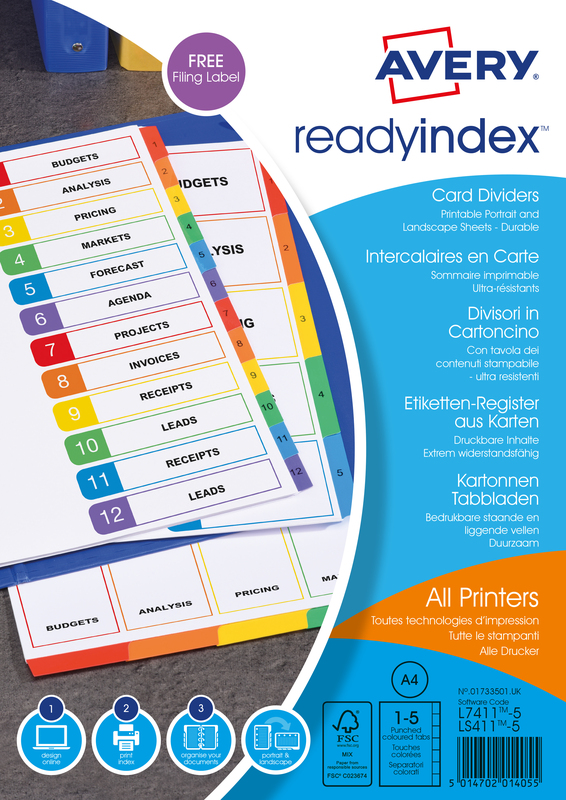 If you want to add a professional and eye catching index to a presentation or proposal, then the Avery Multi-Colour 1-5 Ready Index is the perfect product for you. With a colour co-ordinated index, dividing up documents into sub-headings has never been easier or more stylish. 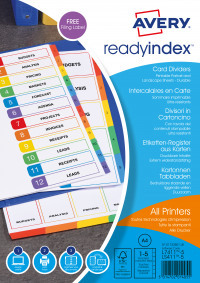 Any index you create will be able to resist wear and tear being made from the very best materials to show you can work to the very highest quality.